Would you describe your smile as overly short, stubby, or “gummy” in appearance? Surprisingly, many patients with this look don’t realize that there are cosmetic techniques available to reduce an excessive gum line. Why Choose Torrington Dental Care for Gum Contouring? 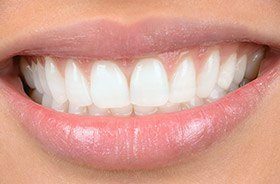 Here in Torrington, Dr. Kuzmin can aesthetically recontour your gums to eliminate unnecessary tissue and correct any noticeable, unsymmetrical areas. They use a state-of-the-art soft tissue laser to prioritize patient comfort and minimize any postoperative symptoms. If you are interested in transforming the appearance of your teeth for the better, please consider contacting Torrington Dental Care today. We would love to hear from you!